After using of L'Oreal Nutri-Gloss Shampoo, I have decided to buy another shampoo of L'Oreal. I have rough, dry, frizzy hair and I am also suffering from hair-fall problem. I really need a shampoo that repairs and prevents my hair from further damage. 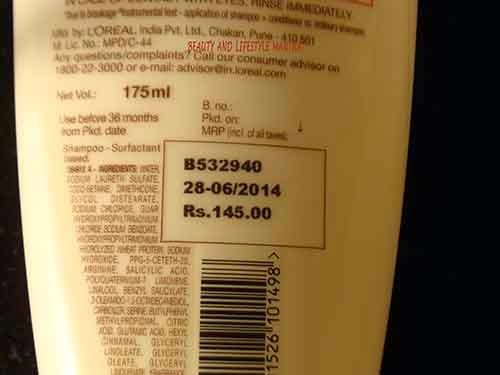 So I picked up this, L’Oreal Paris Total Repair 5 Repairing shampoo for damaged hair. I started using this from last August and think it’s time to write a review on it. 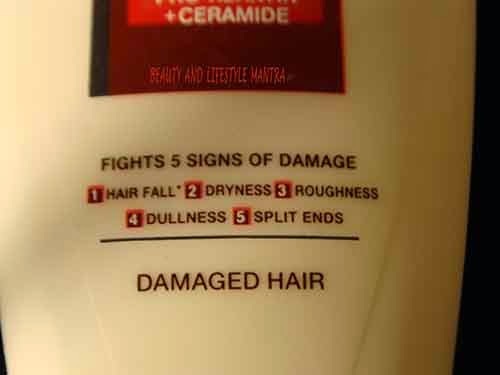 Fights the 5 signs of hair damage. 5 problems, 1 solution. Damaged hair can lack the natural cement which keeps the hair strong & resilient. 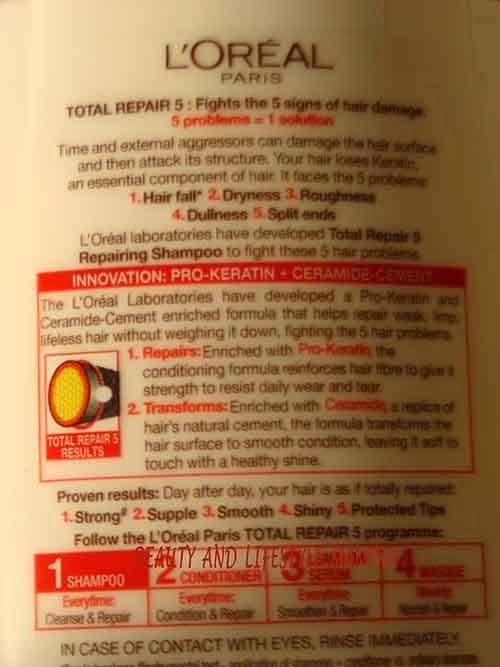 To ensure cohesion & strength, the L’Oreal laboratories have created Ceramide cement, targeting the 5 problems. 1. Repairs the hair fiber, the hair structure is re enforced and the hair regains strength like new. I really love the packaging. This product comes in a simple and classy plastic bottle which is white in color and bright red flip cap. 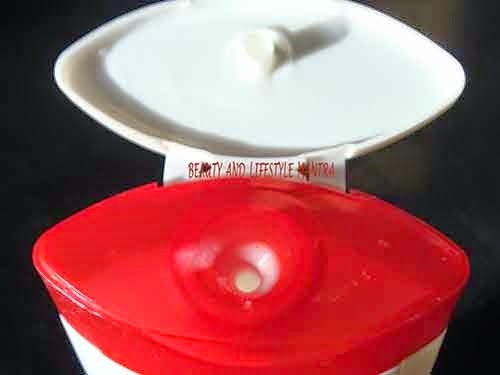 The important details printed on the bottle are also highlighted in red. The shampoo itself has pearl white color. It has a normal Shampoo like consistency but slightly thick, but it is easy to spread in hair and lathers really well. It is creamy. The fragrance is good but it strong to my nose. I never use shampoo directly on my scalp. I drop some shampoo into my bathing mug and add some water to it. I shake the mug well and then I use this diluted shampoo for washing my hair. I use this shampoo twice a week. After every wash, my hair feels more lustrous, silky and shiny. I notice that they have become less frizzy and more manageable over the time. Overall, I want say this is a good shampoo. My frizzy hair is now more manageable. Here I want to add some extra point from my husband. He feels that the shampoo makes his hair to much dry. So he don't want to use this product next time. Attractive color combination in the package bottle.